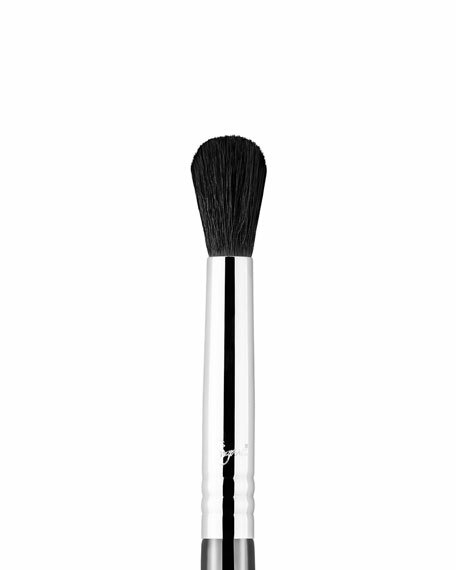 The E38 Diffused Crease features a round-domed, soft brush head. Best used with powder products to apply color to the crease and soften eye color on the lids, providing firm control. Unique Feature: Round-domed, soft brush head. Cruelty-Free. Recommended Use: Blend strong color into crease for a diffused effect. Smaller than E40, provides more control. Buildable coverage in the crease to enhance color. The African inspired zebra printed Kabuki Brush can be used to buff or build any type of powder. Ultra soft goat hair in a firm, dome shape makes it ideal for HD Perfecting Powder application and on-the-go touch ups. 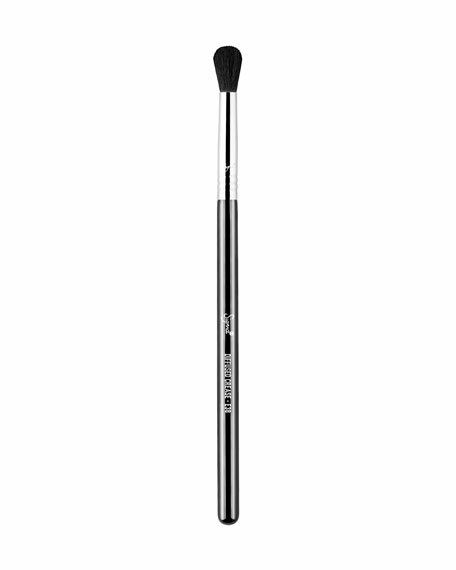 This large, soft brush is ideal for applying pressed powder, loose powder and blush with expert precision and even distribution.